For many South African kids, going to school on an empty stomach is a norm. 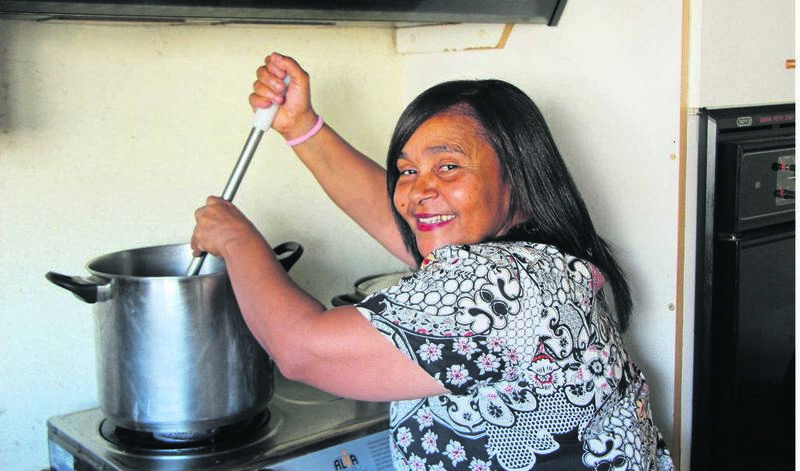 It is for this reason that 52-year-old Velia Davids from Kensington decided to feed kids from underprivileged families on a daily basis. She works under the umbrella of non-profit organisation Guardians of the Galaxy, but all meals ingredients are bought from her own pocket. “I know what it is like to go to bed or school on an empty stomach, so it breaks my heart when I see kids going to school hungry,” Davids said. For four months she started with making lunch for three children who came around to ask for food and the numbers started getting bigger and bigger. She mentioned that she was not looking for money, but whatever people can donate. She said that she was also short of two 60 litre pots she uses to cook for the kids. In total, Davids said she spends about R1 000 a week to run this project.V For more information or if you would like to donate to the organisation call Velia Davids on 073 221 5642.